Bacopa monnieri, which also goes by the name water hyssop or brahmi, is an herb commonly used in Ayurvedic medicine (in India) to help with various health concerns like ADHD and Alzheimer’s disease. Bacopa is also commonly used to help with depression, anxiety, memory loss, epilepsy, and pain. But, how exactly does Bacopa help with ADHD? Does Bacopa actually help with ADHD? How is it taken? What are the side effects, if any? These are the questions I thought about when I started researching the herb. So, this article contains the answers to these questions, and a whole lot more. Bacopa is an incredibly unique Ayurvedic herb. It’s thought that Bacopa enhances cognition primarily by means of reducing anxiety and improving memory. So, it’s for this reason that Bacopa is usually viewed as a nootropic (like the prescription Modafinil) or what is otherwise known as a “smart drug”. However, Bacopa is not a stimulant like most prescription ADHD medications. As an adaptogen, Bacopa makes most people feel calmer, and socially at ease. Obviously, this effect is to be desired in those who struggle with the hyperactive component of ADHD. But, this can also be problematic for those who suffer from the inattentive component of ADHD. …And this is the double-edged nature of Bacopa Monnieri. 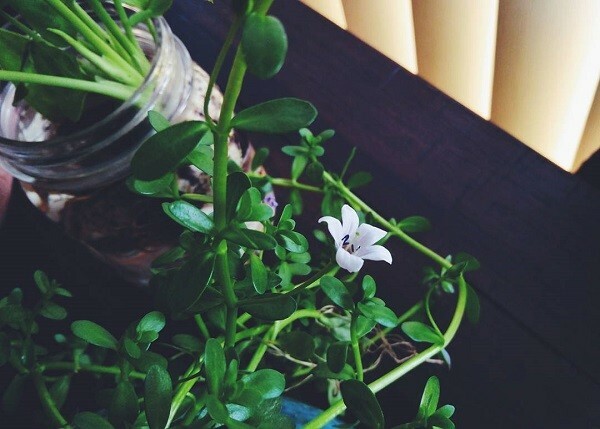 Bacopa can have an anxiolytic (anti-anxiety) effect on you, which feels really great. But, it can also make you feel lethargic, which feels pretty bad. Interestingly, it’s also thought that Bacopa works by interacting with the body’s dopamine and serotonergic systems. It’s well-known that people with ADHD have issues with producing dopamine. So, Bacopa’s effect on the ADHD brain’s dopamine system could be one of the reasons why some people with ADHD find Bacopa to be effective. Bacopa may regulate dopamine (although this isn’t 100% certain by any means). It’s also worth noting that Bacopa enhances communication between neurons by increasing the growth of nerve endings called dendrites. Dendrites have been described as mini-computers in your brain. So, you can probably imagine how beneficial it is to have “enhanced” dendrites. There’s good evidence that suggests Bacopa can help in this regard. Does Bacopa Monnieri Actually Work Though? In theory, Bacopa sounds pretty close to amazing. It has the potential to improve your memory, cognitive abilities, and level of anxiety. But, I wanted to know if Bacopa actually works. So, I researched various studies that have been conducted on the herb. It turns out that dozens of studies have been conducted on Bacopa’s various effects. Multiple studies have tested Bacopa’s effects on memory and cognition, in order to determine if Bacopa is a viable option for ADHD and Alzheimer’s. Luckily, most studies indicate that Bacopa does have a positive effect on cognition and memory. This may be due in part to Bacopa’s efficacy as a stress reliever. 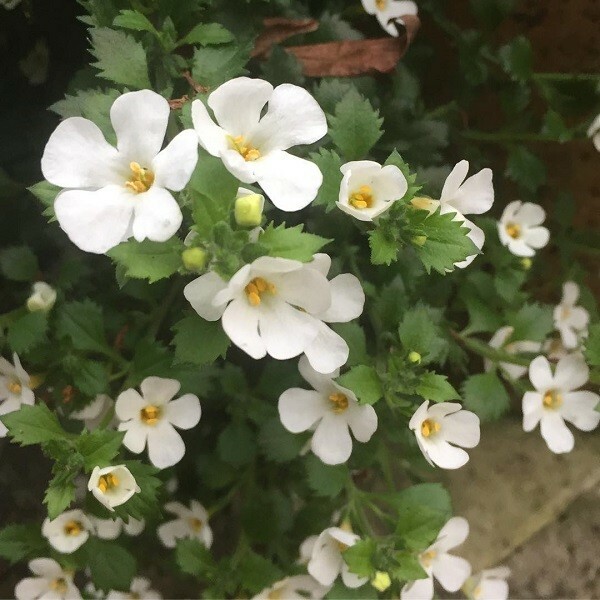 For example, an animal study conducted by the Central Drug Research Institute in India showed that Bacopa effectively guards against both acute and chronic stress. Additional animal research conducted by the University of Michigan Health System showed the positive effects of Bacopa’s ability to help the brain handle stress and anxiety. Bacopa specifically appeared to enhance the effects of the neurotransmitters acetylcholine and serotonin. So, the claims of Bacopa being an adaptogen are likely true. More encouraging evidence can be found in a study conducted by the Neuropsychology Laboratory at the School of Biophysical Science and Electrical Engineering in Australia. This small double-blind study had half of the human subjects take 300mg of Bacopa daily, while the other half took a placebo. Prior to giving the subjects the Bacopa and placebo, the scientists tested the subjects on visual information processing, memory, and speed of information processing. In another double-blind study, 50mg of Bacopa was adminstered to children who suffered from ADHD. The researchers tested the ADHD children’s mental control, logical memory and paired-associate learning prior to them taking the Bacopa. Then, the researchers tested the children again 4 weeks after the children stopped taking the Bacopa. This study also found significant improvements in the test subjects, which suggests Bacopa may be effective in helping ADHD children who don’t respond well to traditional ADHD treatments (like psychostimulants). So Who Benefits The Most From Taking Bacopa Monnieri (And Why)? By now, you should be aware that Bacopa has been administered to people with ADHD in various double-blind studies. And, these studies have indicated positive results for the most part. This doesn’t mean that bacopa is a treatment for ADHD. Bacopa is not recognized as a drug or ADHD treatment option at this time. But, the scientific evidence surrounding Bacopa is quite promising. Additionally, there are many anecdotal reports of people with ADHD who have used Bacopa in an attempt to improve cognitive performance, lessen anxiety symptoms, and perform better in school. 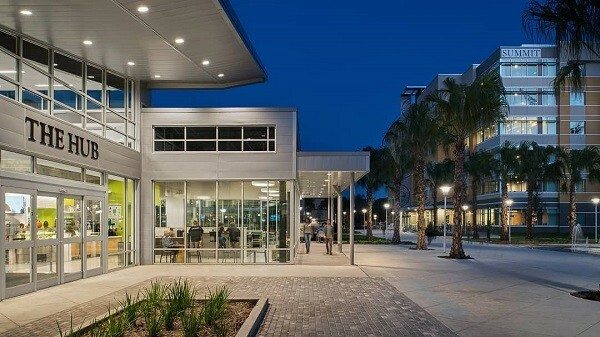 Because of Bacopa’s unique ability to potentially improve cognition and memory, Bacopa is a popular study aid on University campuses. Bacopa is commonly used by college students to improve mental recall and information processing speed while preparing for exams. 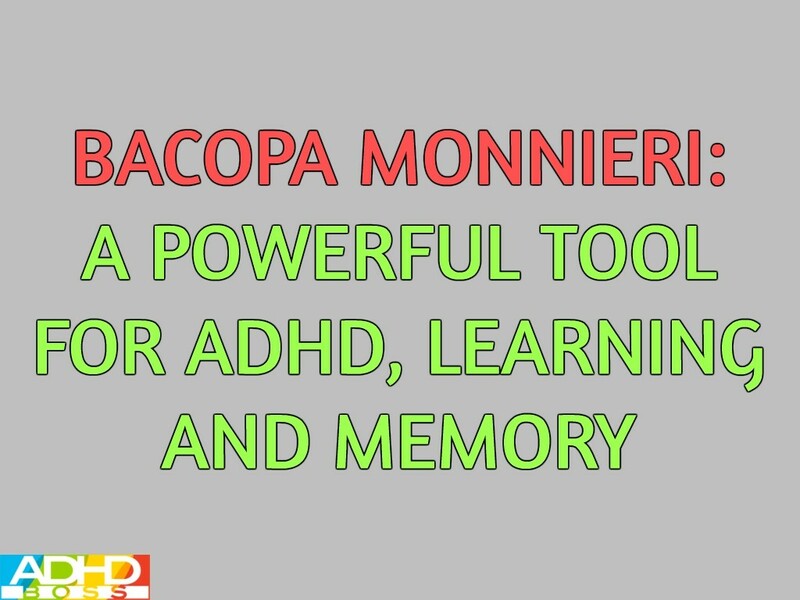 This leads me to believe that college students (with or without ADHD) probably benefit the most from using Bacopa. If Bacopa can help you memorize information, then you might be able to leverage Bacopa to pass your exams, take care of your homework, and earn better grades in school. Whether you have ADHD or not, there’s a chance that using Bacopa could boost your cognitive performance, and help you focus on the tasks that you’ve been procrastinating on. The greatest risk of using Bacopa is the potential for feeling demotivated and lethargic. People with ADHD have a hard enough time getting motivated to accomplish tasks, take care of business, and knock out the daily to-do list. So, if Bacopa has the potential to lower your motivation, this can be a really bad thing for some people with ADHD. This is why Bacopa is not a “sure thing” for improving all of your ADHD symptoms by any means. It’s best to speak with your healthcare provider about the possibility of using Bacopa, and then decide if Bacopa can help with your unique life circumstances. Bacopa is very much a “case by case” type of health supplement. It could work for your lifestyle. Or, it might not. In a worst case scenario, using Bacopa has the potential to make ADHD symptoms worse (as some anecdotal reports claim). Make sure to keep these potential side effects in mind if you decide to use Bacopa. Pro tip: Many people with ADHD use Bacopa at night to lessen the feelings of of lethargy and demotivation that sometimes come with using Bacopa. So, you might choose to take Bacopa directly before going to bed to make the most of this herb. Even though Bacopa and Adderall aren’t very much alike at all, some people might want to know how these two very different compounds stack up against one another. How does Bacopa compare to Adderall? Well, the answer to this question can be divided into a list of pros and cons. Bacopa’s pros are that it’s non-addictive, may improve memory and cognition, and may help with anxiety and depression. It’s been shown to help with attention, focus, learning, and memory. It may also enhance neurotransmitters, and help the brain regulate dopamine and serotonin. Bacopa’s cons are that it may upset your stomach, takes up to 12 weeks to reach full efficacy, and tastes horribly bitter according to personal accounts. Adderall, comparatively, can quickly reduce ADHD symptoms by increasing the availability of neurotransmitters like dopamine and norepinephrine. It increases heart rate and the flow of blood, helping the user feel more energized. It makes the user feel energetic and invigorated. These are all great pros. The biggest con of taking Adderall should be pretty obvious by this point. Adderall has a strong potential for addiction, and comes with some pretty significant risks. So, it requires care on both the part of the user and the prescribing physician. Adderall has the potential to cause loss of appetite, unhealthy weight loss, irritability, trouble sleeping, restlessness, and cardiac issues. So, while Adderall is usually an effective short-term solution for ADHD, it can’t always be used over the long-term. However, in many cases, people with ADHD can take small doses of Adderall (emphasis on small) over the course of a lifetime to effectively treat ADHD symptoms. Bacopa’s standard dosage size is approximately 300mg, assuming that the extract is standardized to 20% bacopasides. Bacopa can be found in leaf, powder, tablet, and capsule forms. The average adult requires roughly 200mg to 400mg of standardized Bacopa extract to be effective. Historically, Bacopa was actually taken with a type of butter called ghee. It definitely isn’t necessary to eat Bacopa with ghee in this day and age (even though ghee is delicious, and provides you with an extremely healthy source of fat). But, Bacopa is fat soluble. So, it’s most effective to take Bacopa with a fatty meal. Or ghee. If you’re the oldschool type. You can find Bacopa monnieri online, on various health supplement websites. However, Bacopa is also available on Amazon. 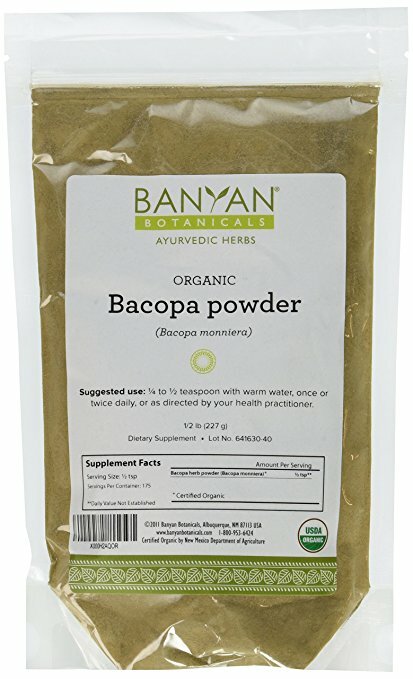 Banyan Botanicals Bacopa Powder (Amazon) – This is USDA certified organic Bacopa monnieri powder. This is not a standardized extract. You can think of this product as pure Bacopa powder. You’ll only need to take ¼ to ½ teaspoon of this powder (per serving). This Bacopa powder is recommended if you’re interested in using the purest form of Bacopa available. This is as close as it gets to having Bacopa in its most authentic, natural form. Pro tip: If you decide to use Banyan Botanicals Bacopa Powder, you can mix half a teaspoon of this powder with full fat Greek yogurt to enjoy a cognitive-boosting (and filling) snack. Bacopa pairs well with fatty foods, so make sure that the yogurt is full fat (and not fat free or reduced fat). 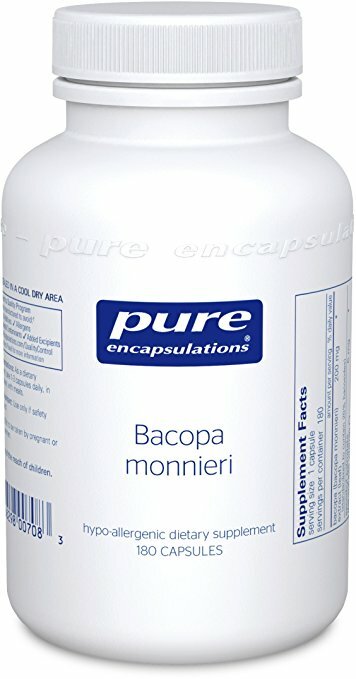 Pure Encapsulations Bacopa Monnieri (Amazon) – I’m a huge fan of Pure Encapsulations, as their supplements are extremely high-quality. This bottle contains 180 capsules of Bacopa monnieri. Each capsule contains 200mg of Bacopa monnieri. This supplement is also hypoallergenic, vegetarian, and GMO-free. You should consider using this Bacopa supplement if you’re a small to normal-sized adult with a low tolerance to Bacopa (due to the low Bacopa content in each capsule). 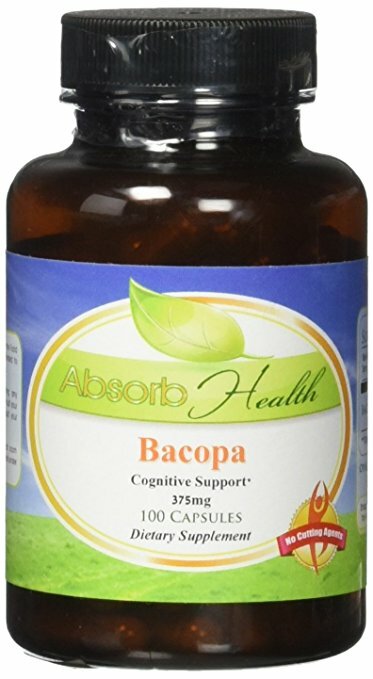 Absorb Health Bacopa Monnieri (Amazon) – This Bacopa monnieri supplement consists of 100 capsules. Each capsule contains 375mg of Bacopa monnieri. This is one of the strongest Bacopa supplements on the market due to the high Bacopa content in each capsule. So, this particular Bacopa product is recommended if you’re a medium to larger-sized adult. You might also be able to find Bacopa at local health food stores like Whole Foods (at a slight premium). Shop around, and see what you come up with. Researchers are probably onto something when it comes to using Bacopa to help with certain ADHD-related problems, like improving your memory, and enhancing your ability to process information. Overall, I’m impressed with Bacopa, and I’ve already ordered a bottle for myself. If the clinical research and studies are indicative of what the future holds – then Bacopa may be an effective substitute for ADHD medication at some point in the future. At the very least, Bacopa could be a nice complement to certain ADHD medications. But of course, you should always discuss dietary supplements with your primary physician or psychiatrist before taking them. Here’s to your sharper memory, better focus, and smarter life going forward. Hi, I love your website and I wish you could reach me by my email. I’m from Brazil and here we don’t have much research about the subject and I’m loving what you post in your website. Thanks for posting the organics possibilities for ADHD treatment. Hi Pablo. Thank you very much for your comment. I’m happy that you’re striving to live a better life with ADHD, even in Brazil. I’m actually in touch with another reader from Brazil, so I know there are many Brazilians like yourself who are looking for good information on ADHD. Feel free to contact me any time you like. 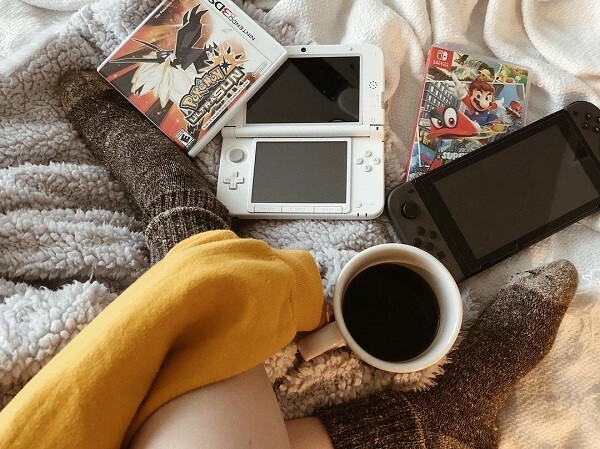 I’d be happy to chat. Have you told your doctor about this? It’s normal for people with ADHD to forget things. But, it’s pretty serious when you’re taking Vyvanse and you still can’t remember things. I’m not sure why this is happening. But I strongly recommend that you tell your doctor about this as soon as you can, because this is a serious problem that I think you can solve. Can you talk to your doctor about trying a different ADHD medication? If you’re interested in Bacopa, then I recommend talking to a naturopathic doctor about it. Since you’re only 15, I can’t recommend that you take supplements. But you can definitely ask a naturopathic doctor about Bacopa, and even show them this article if you want (you can print out this article and give it to them). I wish you the best of luck with your memory Aidan. Thanks so much Paul I truly appreciate hearing from you. I’ll likely send you an e-mail. Hello is there a recommended dose for children? Ive been taking vyvance for over a year and im noticing its not as effective as it used to be…im now on the highest dosage 70mg. At first i was ultra focused and extrenely “into” what i was doing. I also had tons of energy and increased mood. I lost weight (needed to anyway) . Now the only thing i notice is a decreased appetite. If i take it everyday it doesnt effect me at all. Ive tried others but never the great results i had w vvyvance. Any suggestions? Sorry to hear about your situation Carol. I’m not sure about the best way to help. Are you exercising and eating healthy? You have to live an all-around healthy life in combination with taking Vyvanse to make the most of the medication!